MEXICO CITY — One of Nicaragua's most prominent journalists says President Daniel Ortega is working to close any spaces of freedom in the Central American country. "They are trying to end the freedom of the press, freedom of expression," Chamorro said in an interview with The Associated Press. "And if not close, impose censorship and self-censorship. Everything is threatened." Chamorro announced his relocation Sunday along with the airing of a much-anticipated interview with former Nicaragua Supreme Court Justice Rafael Solis, who publicly resigned from the court and Ortega's party earlier this month. 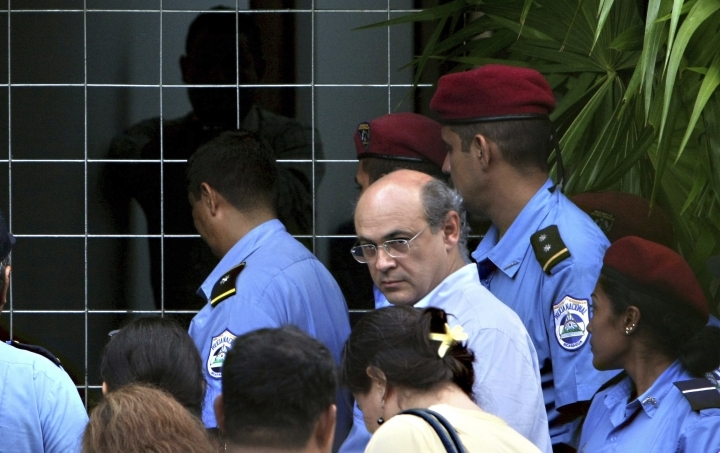 Chamorro said the information about the government's imminent move against him created a dilemma: He could continue his resistance in Nicaragua knowing he would be dragged into a legal battle against false charges that he couldn't defend against or he could leave the country and continue doing journalism at a safe distance. In addition to the confiscation of his offices, the government's closure of the news channel 100% Noticias later in December weighed on his decision. "I have evaluated the two circumstances as a much more dangerous trend," Chamorro said. At least 325 people have been killed in the suppression of anti-government protests that began throughout Nicaragua last April. Hundreds of people have been jailed, many on terrorism charges that are bringing lengthy prison sentences in what Solis called "political" trials that should be annulled. 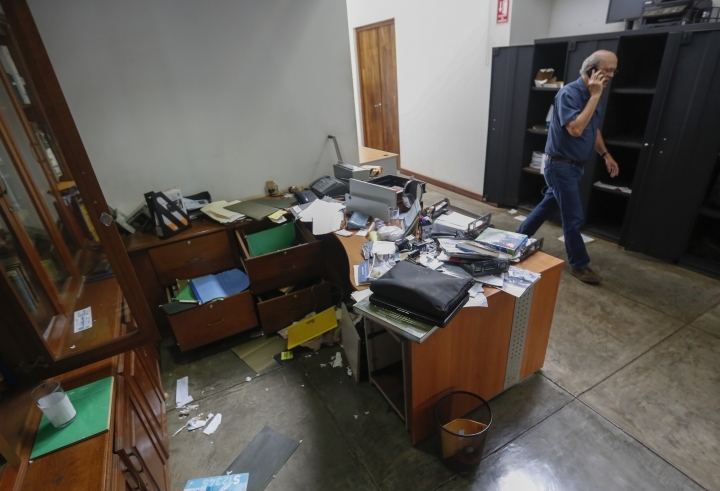 "Nicaragua's independent press is threatened," Chamorro said. "It is increasingly difficult to access sources. Sources, too, are being threatened. This isn't only a threat against freedom of the press, but also a process that threatens freedom of expression." Most of Chamorro's journalists continue working in Nicaragua and are being provided security, but they also face harassment and persecution, he said. Members of Ortega's government have called Solis a traitor since his resignation. He is also living in self-imposed exile in Costa Rica. He said there was tremendous fear within the government and more specifically the judiciary to speak out against Ortega and Murillo. At one point, Chamorro asked Solis if others in the government shared his view that there was never a coup attempt. "It is not a topic that we ever discussed in these nine months," he said.